There is no denying that the Zombie Grave Robber Wig is one of the creepier zombie wigs available. This wig is part wig and part skull cap, serving to elongate the forehead to create an eerie and sinister look that is super creepy. The skullcap segment of this wig not only holds the wigs long hair in place but also elongates the forehead, helping to create an eerie and odd look that is human, yet wrong. 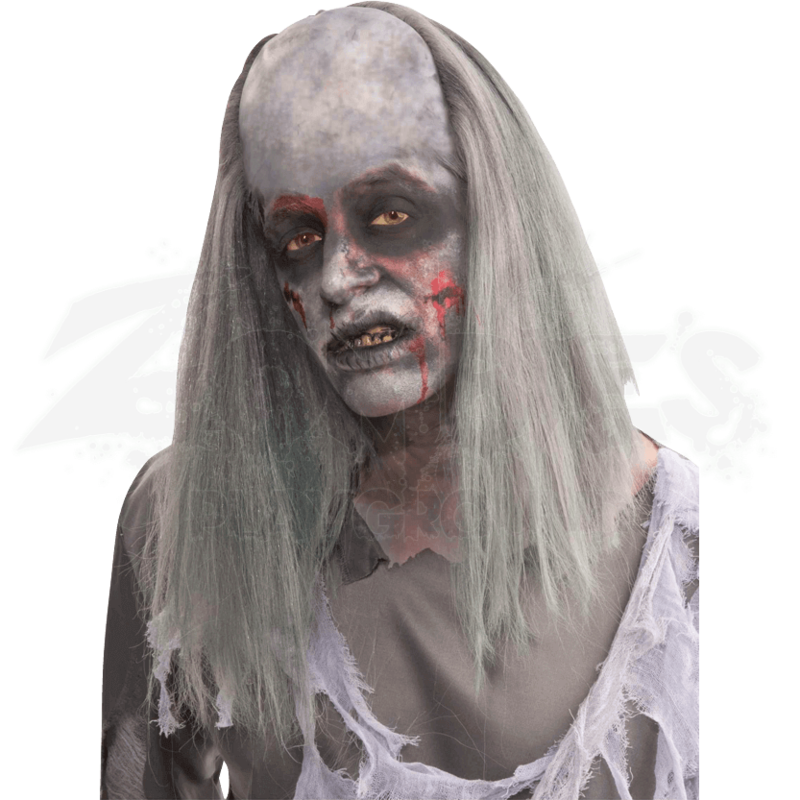 The accessory has long, dirty hair that is colored in shades of white, blond, and an undead green to give it a sickly and unhealthy look that is perfect for any zombie. The wig is made from synthetic hair fibers and comes in one size, which fits most adults. The shirt and makeup pictured are not included. 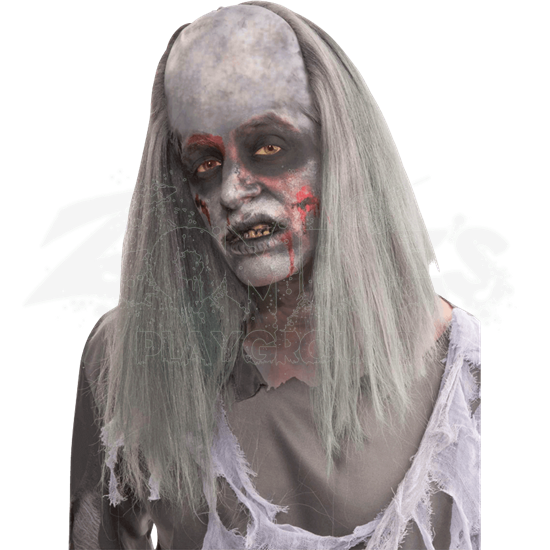 The Zombie Grave Robber Wig is a great addition to any walking dead costume, adding equal levels of deathly appearance and creepy alteration that will help the wearer mask any and all traces of humanity in favor of a startling undead appearance. Other materials are unavailable at this time.